Reporting directly to Apple CEO Steve Jobs, Scott Forstall leads the team responsible for the software platform at the heart of the iconic iPhone device, including the user interface, applications, frameworks and the operating system. 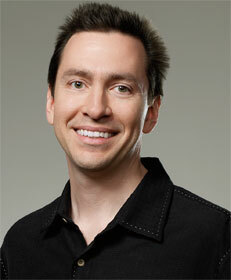 Forstall joined Apple in 1997 and is one of the original architects of the Mac OS X operating system on which the iPhone software is based, as well as the much heralded Mac OS X Aqua user interface. The iPhone UI is widely regarded as the most polished mobile phone interface in the market, and Forstall is therefore in part responsible for changing consumers’ expectations about—and enthusiasm for—the mobile internet. The arrival of the iPhone heralded a personalised web experience with full HTML at its heart rather than a mobile-specific internet-lite. For developers, Apple recently rolled out around 1,000 new APIs (Application Programming Interfaces) as part of the iPhone 3.0 software update, including a mapping API which gives third party applications access to Google Maps data and allows turn-by-turn navigation. Apple has also added support for inapp billing, and developers can also now sell applications on a subscription basis. It is perhaps unusual to leave Steve Jobs out of a list like this, given the extent to which he is absorbed in the company. Jobs’ creation of the iPhone business model has been of key strategic importance, of course. But for telecoms.com it’s the eye-opening software of the iPhone that deserves to be recognised here, hence Forstall’s inclusion.